Welcome to FortMyersBoatTour.com. We specialize in boat tours, sunset cruises, dolphin tours, and lunch cruises in the Sanibel, Captiva, Cabbage Key, Pine Island, or Fort Myers area. You are sure to have a one of a kind experience when you choose Sunset Cruises to plan your next trip on the water. Look at the list below to get an idea of what we can do for you. Give us a call or email us to plan your own special trip! 6 - 10 Restaurants and Tavern Tour South to Lovers Key, dolphin sightings, Big Carlos Pass, Dog Beach, Big Hickory Island, New Pass, and out on the gulf for a lunch stop at Fishtail Marina. Then is back to the gulf to enjoy all the beaches of Fort Myers Beach. There are many stopping options available depending on time frame of cruise, returning to the the North Inlet and Matanzas Pass. Back Bay area Restaurants are Nervis Nelies, Matanzas, Doc Fords, Boneta Bills, Dixie Fish House, The Nauti Turtle, Parrot Key and The Big Game this cruise is an awesome day on the water, and the sundeck up front and lounge area in rear are both excellent choices to enjoy this relaxing voyage. Heading north out the Matanzas Pass into the Gulf across to Sanibel passing by the Sanibel Lighthouse, Captiva and heading into St. James City on Pine Island for lunch. Stop for an awesome lunch at Woody's or the Waterfront. As we leave Pine Island we pass by Picnic Island where we are sure to see many dolphin as we head up the Caloosahatchee River and return under the Sanibel Bridge, passing by the Sanibel Harbor Resort and The New Marriott, stopping options are available. We return to Fort Myers Beach and Back Bay area many restaurants are options for dinner, Nervis Nelies, Matanzas, Doc Fords, Boneta Bills, The Nauti Turtle, Parrot Key and The Big Game are all excellent choices. This cruise is an awesome day on the water, and the sundeck up front and lounge area in rear are both excellent choices to enjoy this relaxing voyage. We begin our journey heading north out the Matanzas Pass into the Gulf across to Sanibel Passing by the Sanibel Lighthouse, Pine Island, and Captiva. We can visit shops, island marinas, Mucky Duck is a great little unique restaurant on the Gulf Beach. On of the worlds best beaches, this is a 2 block walk from the marina, golf carts may be available. Green Flash on bay side is an upscale waterfront dinning experience (seasonal hours change for lunch and dinner). Visit 5 star Tween Waters Resort, phenomenal Resort Pool and Tiki Bar, full sandwich, appetizers, and tropical drinks poolside. This is a great place for fun, recommended stop. We return to Fort Myers Beach Back Bay, stopping options may be possible if time permits. Area restaurants include Nervis Nelies, Matanzas, Doc Fords, Boneta Bills, The Nauti Turtle, Parrot Key and The Big Game. The sun deck up front and the lounge area in rear are both available on this cruise. Bring your coolers and cameras. You are sure to have an enjoyable day on the water. Jimmy Buffets famous "Cheeseburger in Paradise " Island. Exclusive lunch destinations. Private Island visited by 100,000 plus per year, the only way to see this island is by boat. Includes dolphin site seeing, heading north out through the Matanzas Pass into the Gulf across to Sanibel passing by the Sanibel Lighthouse, Pine Island, Captiva, and North Captiva. Enjoy a great lunch and the phenomenal views of the islands, dolphins, and great day on the water. There may be time to pass by Picnic Island and see more dolphins. Great cruise, great stops, we return to Fort Myers Beach Back Ray, stopping options may be possible, time permitting, Area restaurants include Nervis Nelies, Matanzas, Doc Fords, Boneta Bills, The Nauti Turtle, Parrot Key and The Big Game. The sun deck up front and the lounge area in rear are both available on this cruise. Bring your coolers and cameras. Awesome day on the water! Includes dolphin site seeing heading north out the Matanzas Pass into the Gulf across to Sanibel passing by the Sanibel Lighthouse, Pine Island, Captiva and North Captiva, Cabbage Key, and Useppa Island. One of the greatest Island State Parks in all of Florida. Beaches, shelling, swimming, hiking, picnicking, and Great Florida wildlife and aquatic settings. Take time to enjoy the phenomenal views of the islands, dolphins, and the great day on the water. Great cruise, great stops, we return to Fort Myers Beach Back Ray, stopping options may be possible, time permitting, Area restaurants include Nervis Nelies, Matanzas, Doc Fords, Boneta Bills, The Nauti Turtle, Parrot Key and The Big Game. The sun deck up front and the lounge area in rear are both available on this cruise. Bring your coolers and cameras. Awesome day on the water! This cruise includes dolphin site seeing, we head north out the Matanzas Pass into the Gulf across to Sanibel Passing by the Sanibel Lighthouse, Pine Island, Captiva and North Captiva, Cabbage Key, and Useppa Island. We continue onto the Caya Costa State Park. 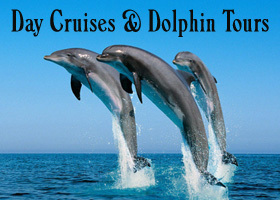 Enjoy the phenomenal views of the islands, dolphins, and a great day on the water. May have time to pass by Picnic Island and see more dolphins. Great cruise, great stops, we return to Fort Myers Beach Back Ray, stopping options may be possible, time permitting, Area restaurants include Nervis Nelies, Matanzas, Doc Fords, Boneta Bills, The Nauti Turtle, Parrot Key and The Big Game. The sun deck up front and the lounge area in rear are both available on this cruise. Bring your coolers and cameras. Awesome day on the water!